In this view you can change the settings of the Versioning bundle. 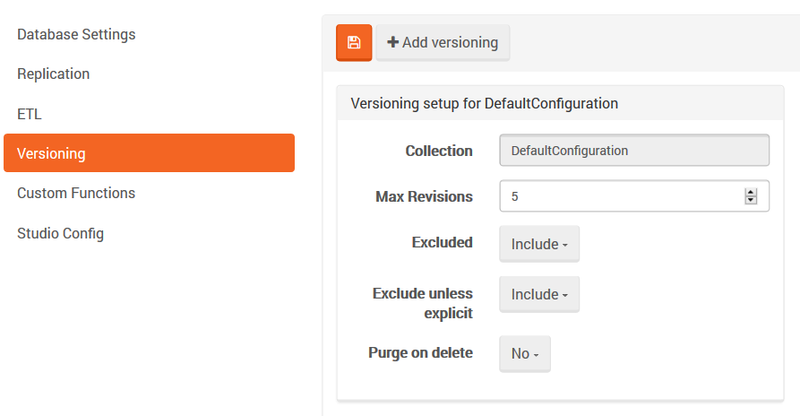 Default settings will appear, yet you can change the collection settings manually by clicking on the Add versioning button. 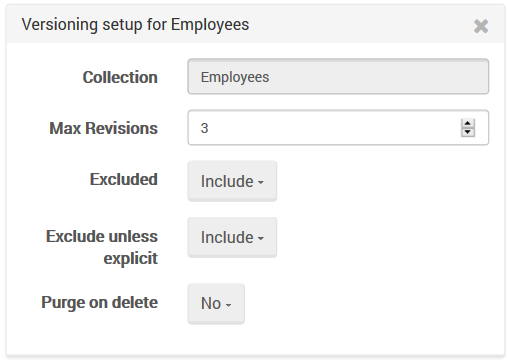 You will need to enter collection name, the maximum number of revisions for the document, and all other settings option.